Here is what I believe could be a powerful contribution to the New Evangelization and the transformation of the culture. After reflection on the medieval theology of light of figures such as St Hildegard of Bingen, Bishop Robert Grosseteste, St Bonaventure and St. Thomas Aquinas, Carrie Gresse has written a beautiful prayer called The Litany of Light, which has just received an imprimatur from the Most Reverend Liam Cary, Bishop of Baker, Oregon. This is the fruit of a unique online class she has created, A Survey of the Philosophy of the Good, the True and the Beautiful, from the ancient Greeks to the present day. So what has this got to do with the New Evangelization and the transformation of the culture? In his statement on the New Evangelization, Pope Benedict XVI talked about the need for a balanced prayer life which harmonizes prayer in the liturgy, para-liturgical prayer and personal prayers. It is through prayer, he says, united to the person of Christ in His mystical body, the Church, that we are supernaturally transformed. (I wrote about this also in an article called The New Evangelization and the Domestic Church.) By grace, we have joyful Christian lives that shine with the light of Christ. It is the example of the Christian life that we give to others, despite ourselves, so to speak, that draws other to the Church, because they see it and want what we have. To the degree that we let Him work through us, our actions are graceful - literally - and speak of Christ beautifully. 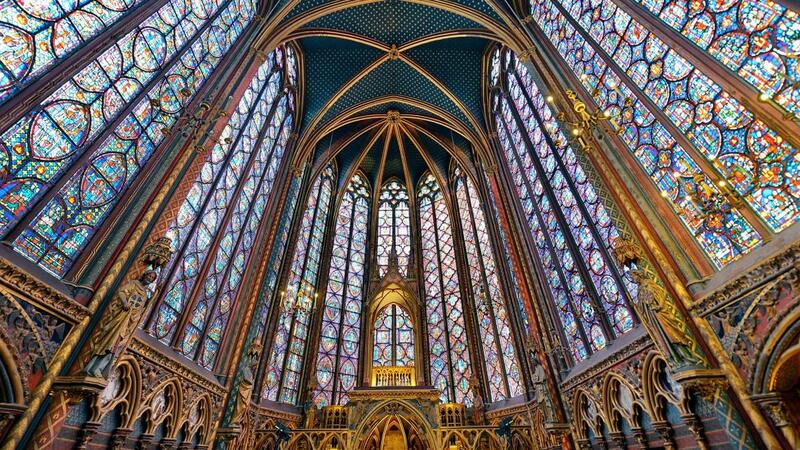 We become the New Evangelists whose work and activity will create a culture of beauty. 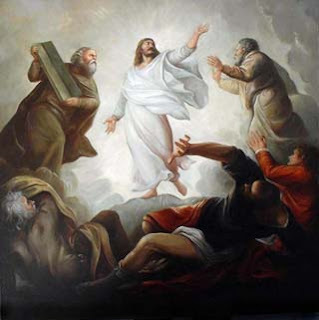 This image of light, as exemplified by Christ in the Transfiguration, has always been associated with the highest goal of the Christian life - partaking of the divine nature in union with Him - by which all happiness is given to us. Therefore, a meditation upon the Light which is structured in such a way that it enhances our chances of participating in it is a valuable contribution to a radical transformation of the world twice over! Here is the Litany as described by Carrie herself, and featured in the National Catholic Register. 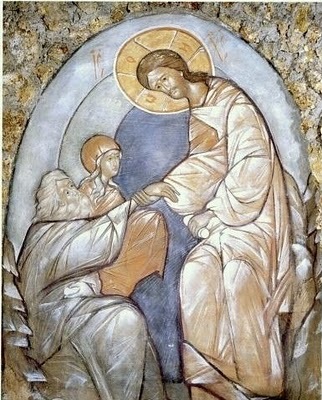 All sacred Christian art should in some way reveal this Light, whether it is the halo of the Saint, the uncreated light of the risen Christ, or the light of Baroque art contrasted with the darkness. 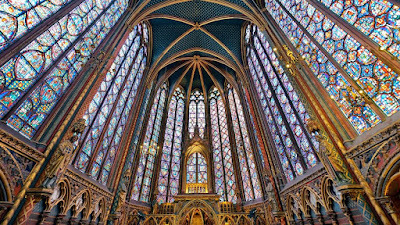 The Gothic cathedral arose out of a desire to communicate divine light through the architecture. Perhaps meditation upon these themes might inspire artists to create new, 21st-century works in the Baroque style. 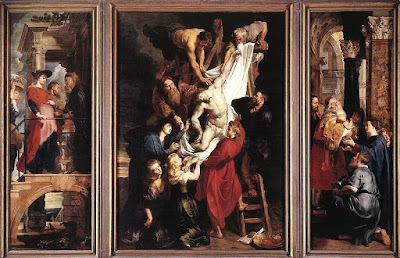 Such a style would participate in the tradition of Rubens, but speak to people today visually, just as the icons of Gregory Kroug do, and as this Litany will speak to those who suffer today through its words. Art, main feature, Titian: the Transfiguration; Gregory Kroug: the Harrowing of Hades; San Chapelle, Paris; Rubens: the Deposition.